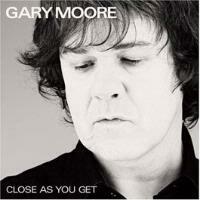 When it comes to modern blues with more than just a passing nod to the roots of the genre, Gary Moore is one of those artists who are in the upper echelon. Here he has given us a new collection of tracks that stands up with the best of his catalog. While some of the material doesn’t seem to stand as high as some of the rest, that’s more about how strong the standouts are than any real weakness in the ones that pale. This is a great disc and I think I might put it as his best. This blues grind is raw and hard as hell. The vocals lead me to think of some of the more blues oriented Bon Scott era AC/DC. It’s a great way to start the disc off. It has some killer slide guitar. What a stomper! This is a slower, more moody blues that calls to mind Buddy Guy a bit. It’s a great change from the powerhouse that started things. The little guitar solo snippets that punctuate the vocal lines are both a nice touch and very tasty. The guitar solo is just plain impeccable. I have to say that I fell in love with this track on the first time hearing it and it’s one of my favorite points of the whole disc. Here we’re back into the energized blues. While this is bouncy and fun, it’s just not up to the same level as the last couple tracks. This cut was written by Chuck Berry, and while I think the man was the father of rock music and hasn’t gotten a lot of the credit he deserves, songwriting has matured a lot since his time, and this just seems rudimentary and a bit trivial by today’s standards. This is more like it! This pounding blues jam seriously rocks out. The guitar solo and song in general on this one is definitely top notch. Moore turns his attention to more slow mellow blues on this one. A John Mayall composition, this one is good, but doesn’t capture the same killer mood that we got with “Trouble at Home.” Still, this gets special mention for an incendiary guitar solo. This time around Moore sets his sights on a Sonny Boy Williamson penned tune. A classic blues tune, this thing rocks out quite well. While Moore does a great job of preserving the old school approach, it still feels fresh. Starting with just percussion, this slides in as a slinky, slow blues groove that is exceptionally tasty. You can just feel the steam coming off the sidewalk outside a gritty blues club on this one. Without question this is another highlight of the disc and has more emotion packed into the arrangement than pretty much anything else on show here. This is almost equal parts jazz and blues. Here we get the penultimate Moore composition of the CD. It’s another slow, balladic tune that’s another standout. While a bit too much like the track that preceded it to get the full effect, it’s got a smoking guitar solo and works quite well. Moore once again turns his attention to Sonny Boy Williams with this classic cut. This thing pounds out with an abandon and rock and roll spirit that makes it another of the highlights on show here. The riff is exactly the kind of thing that Led Zeppelin liked to build their songs upon. Moore’s guitar must have needed repair after this one because his fingers had to set it on fire. The final Moore composition on the disc, this one is another mellow cut, but after the powerhouse that preceded it, that’s just what the doctor ordered. This is a slow blues that’s good, but just tends to pale a bit in comparison to some of the other material here. The harder rocking segment pulls this up by bringing both intensity and emotion to the table. This is an old down home acoustic blues jam delivered with an old school style. While this track, written by Sun House, serves as a solid change of pace – and has a lot of character, I’m not sure I would have closed the disc with it. Perhaps something a bit more energized would have been a better ending.